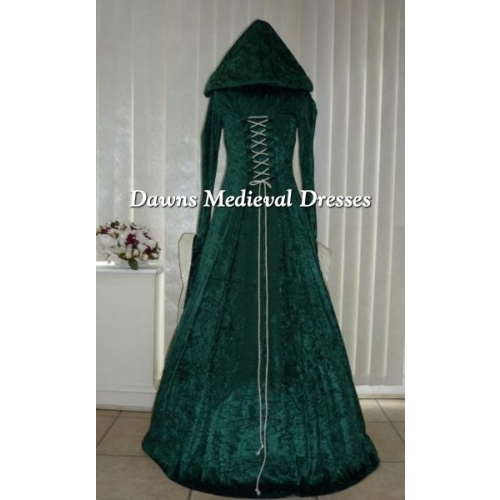 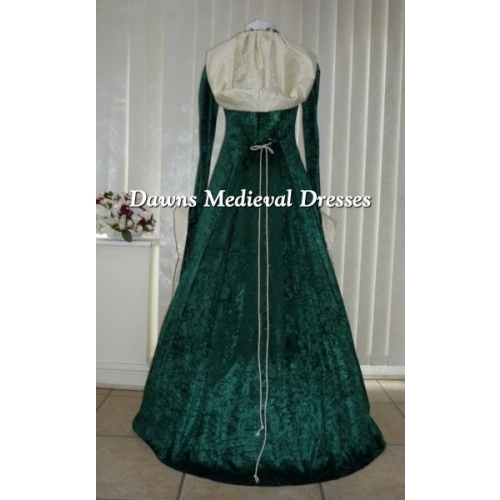 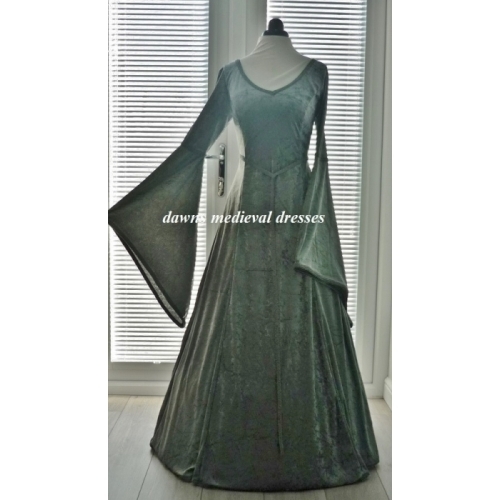 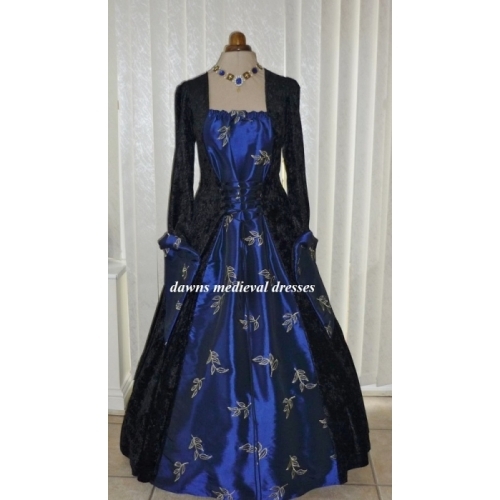 The main part of this gown is made from a lightweight forest green velvet (which contains a small amount of lycra for a more comfortable flexible fit )teamed up with a lovely cream brocade middle panel. 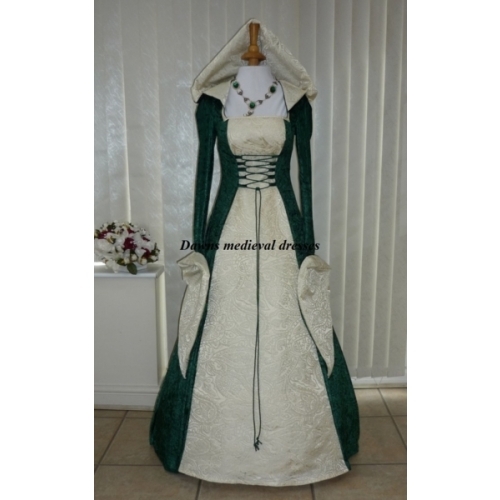 Cream scrolled braid trims the neckline to add the extra 'wow factor' complete with a stunning scottish widow style hood that has been lined in the matching cream fabric , this adds a beautiful feature to this dress as you can have this draped across your shoulders or worn over your head creating an extremely elegant look. 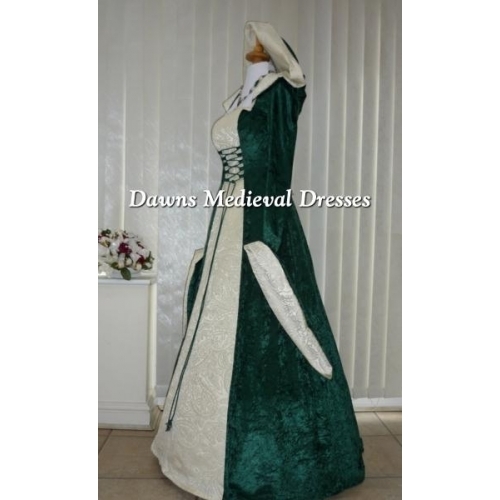 Semi fitted style with a wonderful v cuff which has been lined in matching cream fabric , you can wear these two ways either left to drape down over the hand or turned over slightly for a more dramatic look. 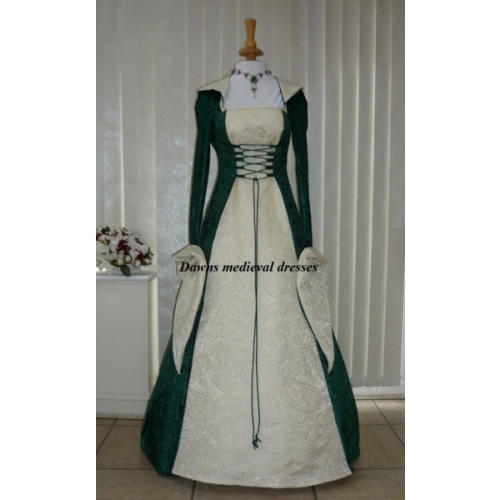 I have supplied green and cream lacing as this add's more definition to your dress.